Giving Spotlight: Thank you for a Record-Breaking Year on CrowdRise! Follow Warrior Canine Connection to keep up the latest news and events! 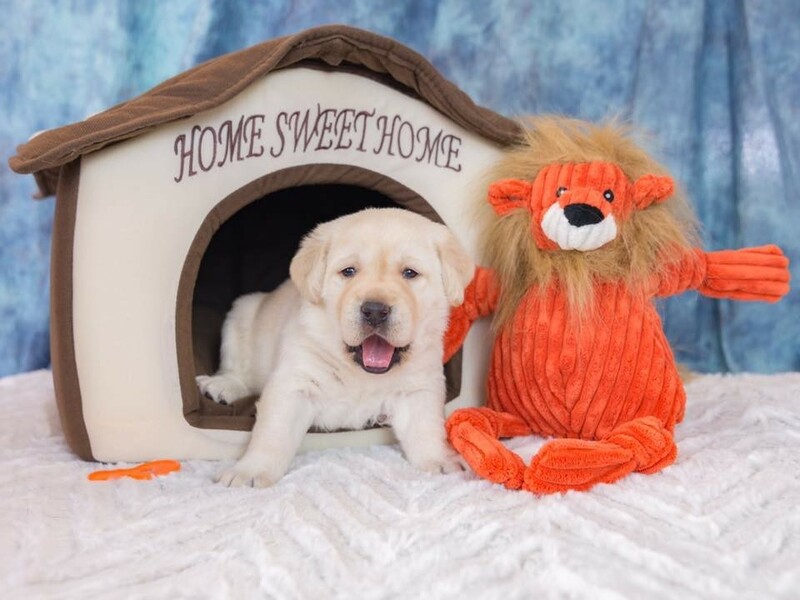 Miss Orange of WCC's Welcome Home Litter poses for photographer Lori Marshall for her week 3 picture. Since founding Warrior Canine Connection, I have been truly inspired by the number of people who have dedicated their time, talents and treasures to our organization. I have been particularly heartened by the unwavering support we have received in light of recent challenges. Your concern, assistance, loyalty and passion for WCC and the Veterans we serve has helped carry us through and provided us with not only financial assistance but also motivational and emotional support. It’s been really uplifting to see the positive comments on our social media channels, as well as the CrowdRise site – thank you from the bottom of my heart. I am honored to be part of such a committed community. With 2018 already underway, we have lots to be excited about for the year ahead. One of them is the renovation of our Healing Quarters in Boyds. We have secured a local Montgomery County contractor, Davis Construction, for the renovation and construction ahead. The Davis team helped us lock-in Rosendin Electric for all electrical work and Integrated Systems for HVAC and plumbing needs. Davis will also be selecting subcontractors over the next few weeks. The terrific architects from HGA are working on the plans, and I am happy to report that we are in the final stages of preparing permit drawings for fire suppression and the renovation of the dairy barn. We also have had amazing support from contractors and vendors in the form of donated equipment, materials and substantially discounted services. The Associated General Contractors of America and Hilton’s Global Design Team has been especially helpful in this area and we are so grateful for their kindness and support. All this to say we’re excited and slated to begin work in mid-February. We will keep you posted on updates along the way. WCC’s Veterans Treatment Court Program has been in full swing for more than six months now and is gaining ground in San Mateo and Santa Clara Counties in California. We’re so proud of this unique program and the work being done to assist Veterans in the Bay Area. Be sure to check out the story about the program a little farther down in this newsletter. If you aren’t already aware, we are also pleased to report that we welcomed our first litter of 2018 — The Welcome Home Litter — on January 7. 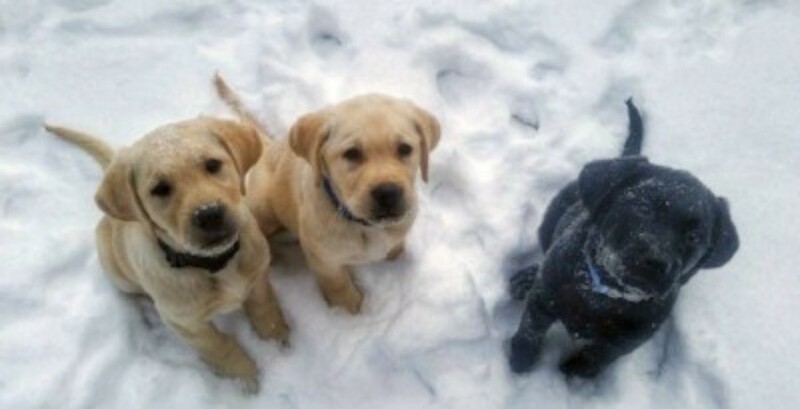 Mother Megan had six adorable Labrador Retriever puppies — three girls and three boys. As always, you can follow their development on explore.org. We’re very grateful for this opportunity to name the “Welcome Home” pups to honor the service and sacrifices of our Vietnam Veterans. So many great things are already underway this year, and we’re just getting started! As part of the partnership, Boehringer Ingelheim will sponsor and organize education and outreach to veterinarians and dog owners throughout the United States. The Nexgard® brand, a flea and tick preventive, has also been added to the partnership for 2018. These outreach efforts provide a terrific opportunity for Boehringer Ingelheim and WCC to share a meaningful experience in the course of everyday business. Boehringer Ingelheim also creates educational opportunities to promote awareness — particularly in the veterinary community — about the importance of protecting the health of our dogs and the value that the human-animal bond brings to Veterans. Last year, as part of the partnership, Boehringer Ingelheim donated $100,000 to help WCC continue its mission of helping Service Members and Veterans reconnect with life, their families, their communities and each other. It also hosted the “Heartgardians” campaign, whereby one deserving Veteran was chosen among thousands of nominations and received an all-expense paid trip to Nashville and a year’s supply of HEARTGARD® Plus for their dog. For six years, Warrior Canine Connection has enlisted recovering Warriors in a therapeutic mission of learning to train service dogs for their fellow Veterans. Having found success, WCC is now using that same model in California Veterans Treatment Courts. The WCC Veterans Treatment Court Program officially rolled out in the summer of 2017 in San Mateo County and quickly expanded to the Santa Clara County Court. In early 2018, the program also expanded to the Santa Cruz Veterans Court. The program utilizes service dog training as a community service option for Veterans with mental health and legal issues. Veterans involved in the courts are often required to complete a set number of community service hours or, often, they can reduce fines and fees by participating in community service. Now, dog training — offered through WCC — is one of the options on the docket. Training takes place on various dates and times throughout the week culminating in the completion of the program at 24 hours over three phases of eight sessions each. 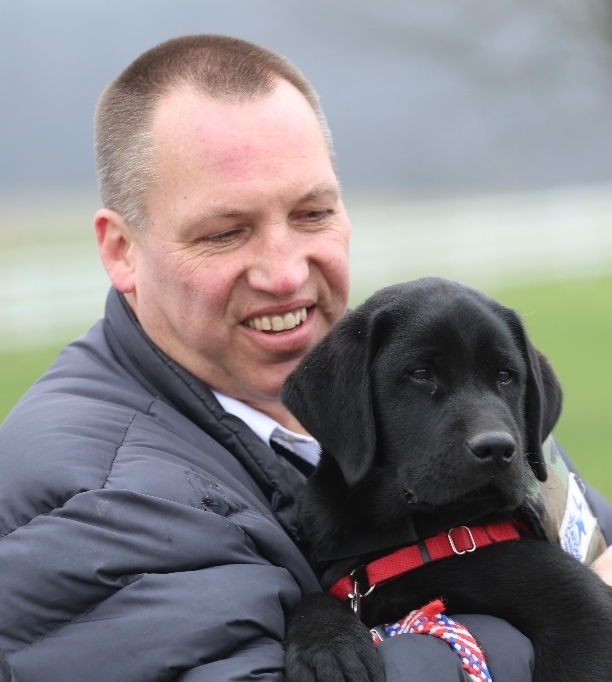 The program utilizes WCC’s Mission Based Trauma Recovery model to give Veterans who have legal issues the opportunity to help train service dogs for their fellow Warriors. The San Mateo Veterans Court has 20-30 Veterans involved in proceedings at any given time, and each case is typically in the system for two to three years. The goal of WCC’s program is to contribute to the reintegration and treatment emphases of the court. Service dogs-in-training are actively involved in the program, and their training benefits both the Veteran and the dog; they work together as a team on skills including assertiveness, emotional regulation and affect, setting boundaries, socialization and much more. Every Friday, the dogs are at the San Mateo Veterans Treatment Court to greet the Veterans, to be part of the community and to serve as an immediate, visible reminder regarding the opportunities the court provides. 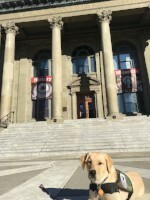 Every other Wednesday, the dogs are also at the Santa Clara County Veterans Treatment Court and they and the trainers also make appearances at the Santa Cruz County Veterans Court, as well. As one might imagine, they have also become popular fixtures among the court staff. The program also enables WCC to expand its reach beyond the VA walls and into the community to impact the lives of Veterans who otherwise might not be able to participate. The WCC Veterans Treatment Court Program was made possible through grant funding provided by the Bob Woodruff Foundation. The grant was earmarked for programming designed to provide a positive outlet for Veterans to help negate the symptoms of combat trauma, while also providing much-needed service dogs for fellow Veterans. The funding follows a 2016 grant that the Bob Woodruff Foundation provided for the feasibility plan to use service dogs as a community service option. Learn more about the Bob Woodruff Foundation here. A professional photographer who specializes in product photography, Lori donates her time and talents to WCC. Sometimes, she can be found clicking away on her camera during training sessions, for events or happily fulfilling any other requests the WCC staff throws her way. While she’s been taking the photos of the lovably cute pups for close to a year, her involvement with WCC traces back five years, including three stints as a Puppy Parent for service dogs Nick, Terry and presently with Elaine. She says being a Puppy Parent has helped her when it comes to handling the puppies during photo shoots. “It really helps with properly giving commands and treating the dogs during photography sessions,” said Lori. But Lori refuses to take all the credit for the photos and quickly acknowledges Fran Frazier, another WCC volunteer who assists Lori with all the photo shoots. In addition to the weekly photos, Lori also takes photos of the Puppy Parents and their dogs before they’re handed over to begin their advanced training. Thank you, Lori, for your unwavering support, commitment and dedication to helping WCC fulfill its mission. Volunteers like you are incredibly important to our organization. Twice a year, WCC joins hundreds of other non-profit organizations in a friendly fundraising competition through the CrowdRise platform. These campaigns not only raise vital funds for our organization, but they showcase WCC’s broad base of supporters and inspire our work on behalf of our nation’s heroes. Thanks to the generosity of our amazing supporters, the latest campaign through the Newman’s Own Foundation Holiday Challenge was a record-breaker for WCC! During the six-week fundraising campaign, which concluded on January 3, WCC supporters hit the donate button on their computers and cell phones a total of 628 times! This grassroots support helped WCC place 10th overall and win an additional $7,500 in prize money. Thank you for your support throughout this campaign and beyond as we continue this important mission! We are pleased to announce that Warrior Canine Connection has received a grant investment from the Petco Foundation to support our mission of using canine-assisted therapy to help recovering Warriors reconnect with life, their families, their communities and each other. This grant was made possible through the Petco Foundation’s annual Helping Heroes fundraising campaign. Each October during the fundraising campaign, Petco customers are invited to donate online and in Petco store across the country to support the life-changing work of service, therapy and working animals. 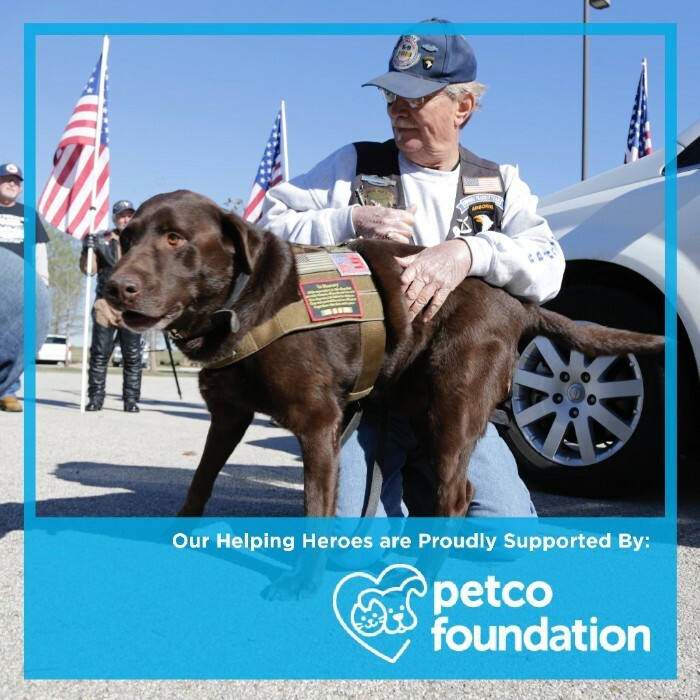 The Petco Foundation investment will be used to support ongoing training programs designed to help provide Veterans with disabilities with highly trained service dogs. To learn more about the Petco Foundation visit petcofoundation.org. WCC is a 501(C)3 nonprofit organization. Copyright © 2018 Warrior Canine Connection, All rights reserved.